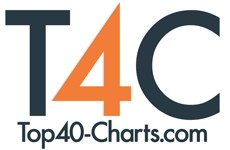 New York, NY (Top40 Charts) As the old adage goes, "it takes a village." In the case of New York City's BIG VILLAGE LITTLE CITY, truer words were never spoken. While the core of this musical ensemble remains constant--"Forefeather" Zac Hills-Bonczyk (Bandleader / MC), Amy Grace Patierno (Bandleader / Singer), Osei "Boogieman" Kweku AKA Owen David (Musical Director / Bass Player), Kai Sandoval (Trumpet Player / Brass Section Director), Kenrick "Heavy Hands" McBean (Drummer), Bryan Pasian AKA Pazn Doziac (Guitar Player), Mauki McGruder (Trumpet Player)—BIG VILLAGE LITTLE CITY is an ever revolving door to some of the city's finest musicians. They've garnered a reputation as a show-stopping live band since the group's 2016 inception as a cross-pollination between danceable conscious hip-hip and brass-driven New Orleans-style funk. Launched by Minneapolis-bred rapper Forefeather and veteran NYC jazz singer Amy Grace with the intention to build inclusive community using contagiously hooky music, BVLC quickly grew to be a sprawling and diverse tag team of ferociously talented musicians with a devout base of supporters in the most cosmopolitan city in the world. Now, with producer Charlie Patierno (The Roots, Octave Cat, Melody Gardot) stepping in to anchor the group's sound in the studio, BIG VILLAGE LITTLE CITY's highly anticipated short-and-sweet debut studio album, Over the Weather, is the soundtrack to a completely unadulterated celebration of all of us, at a time when many would agree that exactly such a thing is needed most. It will be independently released November 9 on all digital formats. Check out a teaser album trailer on their official YouTube page here. Over the Weather showcases BIG VILLAGE LITTLE CITY's strengths as a project that is collaboratively driven, but rooted in the hook-driven writing of an eclectic and creative ear. "I've never been interested in making just one kind of music," says Forefeather, BVLC's primary songwriter. "That's why I fell so in love with hip-hop, being that it's essentially just a collage of whatever samples the beat-maker is interested in bringing new life to. This project is really that same energy plugged into a more organic approach. The difference is that we sample styles, like the NOLA second line marching band aesthetic for a song like 'The Knocks,' or a stanky slow and low vibe for 'Between.' At the end of the day, just like in an entirely sample-built hip-hop track, you have a totally, super unique new thing with a similar flavor palette to something you already know and love." "We like to inspire people to move their bodies," explains Amy Grace. "Each song will make you dance in a different way. Every track has a vibe that inspires its own kind of movement. The live show is high energy, and you can really feel it through the recordings." On Saturday, October 13, BIG VILLAGE LITTLE CITY will be celebrating the release of the video for "Snake Oil" from Over the Weather with a special hometown show at Nublu (151 Avenue C, New York City) at 8:00 PM ET. Tickets are now available here. Though Over the Weather is only six tracks, it's filled to the brim with every one of the versatile ingredients that make BIG VILLAGE LITTLE CITY a poignant recipe. Mixed by a team that runs on the steam of hip-hop, funk, brass, and bliss, even "a little sip of concoction" will be enough to get you hooked for life.